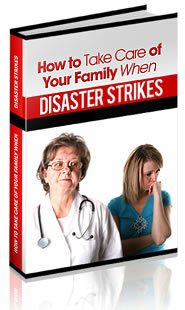 In previous articles I have impressed the need to prepare your family for disasters. Those articles explained why we need weather alert radios, survival kits, and two-way radios as our basic disaster needs. Those of you who have purchased these items have accomplished one of the largest parts of personal disaster planning, and should be commended for doing so. This article addresses additional customization of the basic items to fit your family's specific individual needs. One of the first and easiest parts of customizing is the set up of your weather alert radio. You may or may not opt ? ?to do this, but it is an option you should consider. Most weather alert radios can be set up to alert you only if the alert applications to specific counties. Some models can be programmed to only notify you of specific alert types. Follow the instructions in the owners' manual, and use the information for specific codes for your area to do this. The county codes and specific area message encoding (SAME) can be obtained from the National Weather Service website. The next step of customization will require a little more thought in order to begin, and may actually become an ongoing process that will require periodic updating as your family's individual needs change. Your basic survival kit provides the foundation for your survival gear. However, you need to consider any special or specific needs for each individual and add items to the kit to accommodate those needs. Some examples of these additional items to your basic survival kit include spare eyeglasses, prescription medications and related information, a listing of medicines that you are allergic to, a copy of your family disaster plan, a small amount of emergency cash and spare auto keys. These are only examples, as the items will vary depending upon your individual needs. Meditations may need to be kept separately if they need to be refrigerated or expire, but should be easily accessible when you need to add them to your survival kit at the last minute. Take your time with this step. You must imagine yourself in an actual emergency in order to decide any additional items that may be necessary to you. Give consideration to available space in your kit and additional weight of these extra items, in order to keep these items as compact and lightweight as possible. If you have pets, you may need to consider their special needs in this step as well. An annual review of the items in your survival kit is necessary to keep them up to date as your needs may change over time. The third part of customization is fairly simple. If you have included two-way radios into your survival kits, make sure that everyone in your family understands how to operate them. Decide in advance which channels for everyone to monitor in case you are separated from each other. Ask your neighbors if they have two-way radios. You may need to keep in contact with them during an emergency too. Keep all radio batteries fully charged. Consider keeping an extra set of batteries in your survival kits. As I have mentioned in earlier articles, we all hope that we will never need to utilize these items. However, being prepared in advance has proven to save lives and help survivors to cope with adverse conditions following an emergency event until help arrives.